Heather talks with Dr. Mariam Sauer, MD about colon cancers and many topics to help you understand the cancers and diseases concerning gastroenterological issues. Heather talks with Dr. Abraham, MD, FACS from Coastal Urology. Much of this discussion is covering Prostate Cancer. Lisa talks with Dr. Walter Gajewski, MD about Gynecological Cancers.  This interesting program helps to explain the different types of Gynecological Cancers and how treatment is prescribed for today's cancer survivor. So, you have a cancer diagnosis. Your medical team is saying you need radiation. On this FOCUSING ON YOU Episode, Lisa talks with Dr. Patrick Maguire of Coastal Carolina Radiation Oncology. Today's program Lisa talks with Dr. Lindsey Prochaska, DO. Dr. Prochaska is an oncologist with Cape Fear Cancer Specialist - NHRMC Physician Group. This is a program you may want to watch more that once because it has such important information about the roll of an oncologist during active cancer treatment. Heather King, Hope Abounds Education Director, talks with Dr. Christopher McKinney, MD. Heather King, Educational Director for Hope Abounds, interviews Dr. Gregory Bebb, MD, FACS. Dr. Bebb, a noted surgeon in Southeastern North Carolina, is with the Wilmington Surgical Associates Practice and specializes in cancer surgery for Breast, Melanoma and Thyroid cancers. Elizabeth talks with LuAnn Bartolo. LuAnn is a wonderful Christian woman that was just diagnosed with Breast Cancer. Lisa talks with Dania Armstrong, LPN. Dania is a Hospice Care Consultant with Community Home Care and Hospice. 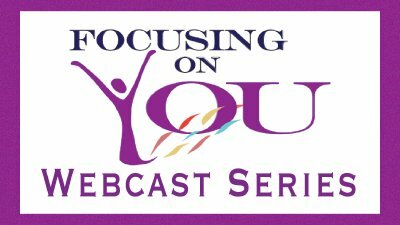 FOCUSING ON YOU Episode 016. Our FOY interview is with Breast Cancer "THRIVER" Heather Faircloth. Join us with this inspirational and motivational program concerning Heather's journey with cancer. On Todays FOY Webcast we talk about Palliative Care with Dr. Kelly Erola of Lower Cape Fear Hospice. Many individuals think that Hospice is only about "End-Of-Life" Care. Watching this program to help you understand the Palliative Care that Hospice offers. Tonight Lisa talks with Ashlea Staunch-Humphries, LCSW from Carteret Health Care in Morehead City, North Carolina. FOY - Episode 012 - Lisa Cawthorne, RN, MSN, OCN talks about a healthy diet during the holidays with Catherine Hankins, RD, CSO, LDN. Loreal Massiah -UNC Rex Cancer Care • Cancer and the Holidays.